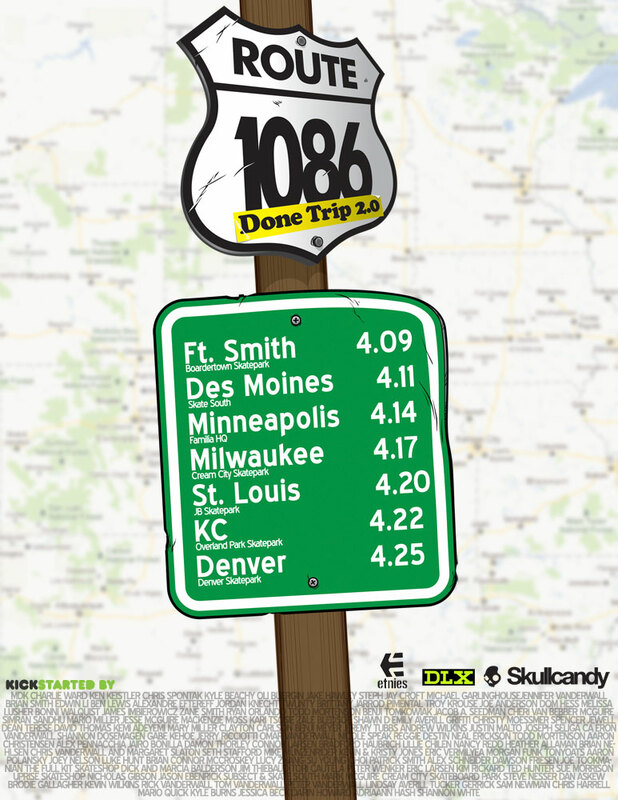 The Done Trip is coming through in a couple of weeks. There's not really a locked down line-up of who's going to be here though one must expect jerboi Davis to show up for the hometown gig. In which a high schooler asks Ricky Rubio to prom, via Youtube. That was rad. Is mounting hardware a right or a privilege? Following some esoterics about Larry Balma BTO strikes back with some really good stuff about bolts. Some little kid did a 1080. I liked his reaction, *shrugs*. April Fools day is Sunday. Here're some newspaper hoaxes of the past for nerds like me. Hey D-Bong, I've seen your April Fools list. I expect you to actually pull that one off this year. I'll be waiting. Who do I get ahold of for this Done trip? You should be able to get ahold of someone for the Done Trip here.